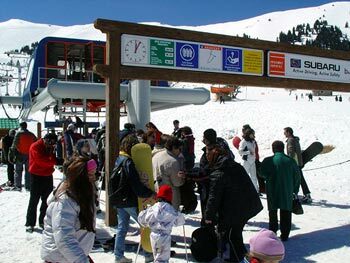 It is situated 203 km from Athens, 14 km from Kalavryta to the northwestern part of Chelmos and it is one of the best organized ski centers in Greece. 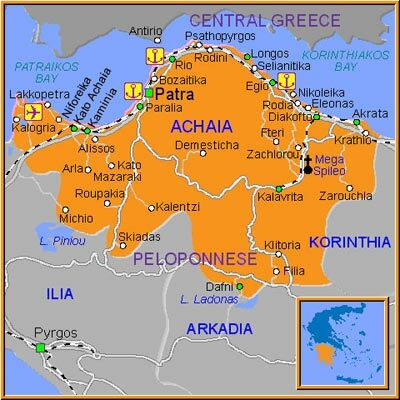 With your own car through the national road connecting Athens to Corinth, after Kiato and Xylokastro following the signs to Kalavryta. The trip duration by car is two hours and a half. By bus, on a daily basis at 9:40 while on Friday and Sunday at 14:30 as well. Ticket price: €14,40 and €27 for a round trip. Trip duration: about 3 hours. For information call (+30) 210 5124910. 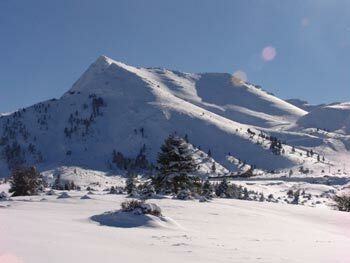 Chelmos’ highest point is at 2355 m, Neraidorachi reaches 2341 m and Avgo 2138 m. The ski resort installations start at an altitude of 1700 m at Xerokambos and reach up to Neraidorachi at 2341 m.
There are 12 ski sites of a total length of 20 m with all the levels of difficulty. There are seven lifts with different names. Hermes, Achilles, Daphne, Iraklis, Styga, Thetis and Artemis. Daily from 9:00 am till 16:00 pm from December to April. On weekdays the daily card costs €15 while after 13:00 you can get a daily discount card for €12. The same card on holidays, weekends and from 27/12 till 6/1 will cost you €24 and the discount card €18. The cards for the lifts for the same dates after 13:00 cost €19 (for a whole day) and the discount card €14. For pedestrians there is only one lift available, Achilles, for which the ticket for one ride is €10. Right next to the organized parking lot in Kalavryta you will find the 1200 sqm wooden chalet with its fast food restaurant, organized cafeteria transformed into a bar when night skiing ventures are organized. In Vathia Lakka spot you will find a multiple-use building with a canteen and bathrooms for the skiers. Right next to the beginners’ ski site there are three skiing schools. Snow Shop, tel no (+30) 26920-22465, Alpine Ski Shop (+30) 26920-24314 and Klaoudatos (+30) 26920-24490. The skiing schools provide full equipment for skiing while a great variety of everything you need is also available in Klaoudatos store (tel no (+30) 26920-24490. The renting prices start from €8 on weekdays and €12 for weekends. Hermes and Iraklis lifts for beginners will be free while there will be a €500 ticket for three-member families and €100 extra for every additional person. Try the snow mobiles, canyoning in Vouraikos, archery, rappel or flying fox, moguls ski, cross country ski, visit the snow tube park or dare to dive on a snow slope with a parachute. 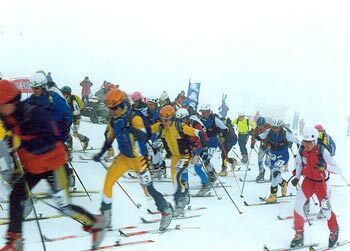 The slalom in Styga, one of the biggest ski sites in Greece with a length of 3200 m. be careful since it is only addressed to experienced skiers. 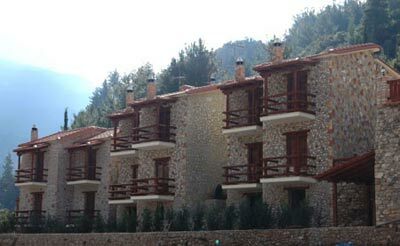 Lyda Hotel in Kalavryta is a good idea with prices ranging from €85 for a double room with breakfast. Tel no (+30) 26920-24780. 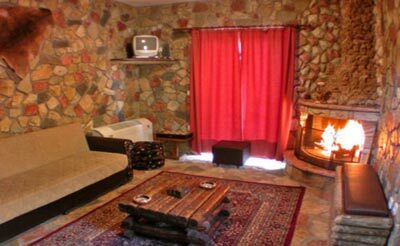 Dryades, located in a serene spot in beautiful Zarouchla is a chalet made from rock and wood that will impress you. the prices range from €125 for a double room tel no (+30) 26960-34840. In Zarouchla you will also find The dream of Zachlorou, offering double rooms from €120. Tel no (+30) 26920-23772. 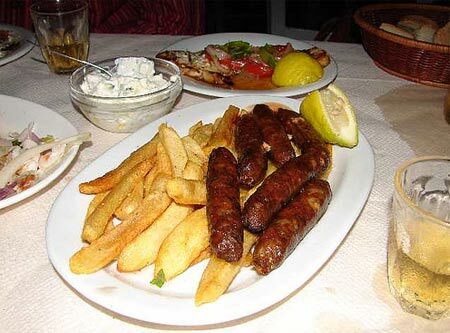 All of the tavernas above offer traditional Greek tastes, tasty grilled meat and excellent service. By taxi (+30) 26920-22127, local buses (+30) 26920-22224 and train (+30) 26920-22245. Medical Center available right next to the ski resort. 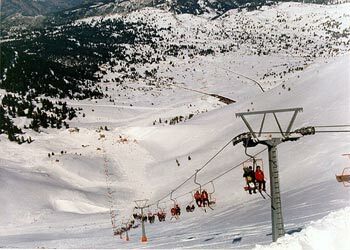 Kalavryta ski resort (+30) 26920-24451/2.